Happy Hannukah to you. We hope it is a good one and Happy Thanksgiving too if we don't see you tomorrow. Hope all your preparations are going well. Happy Hannukah and Happy Thanksgiving! Those chocolate dreidels are too cute. 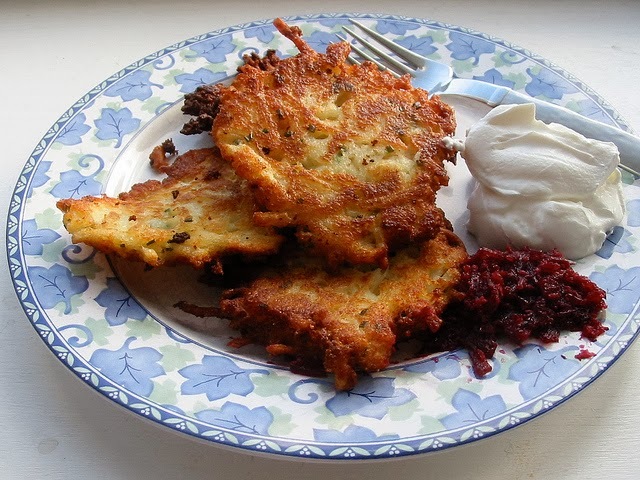 And who doesn't love a latke? The peep says that latkes are yummy! I have so gotta try 'em. HAPPY HANNUKAH to everyone in your home and HAPPY THANKSGIVING, too. OMC, the chocolate dreidels are adorable! Happy Hanukkah! What a fun celebration filled weekend! I hope you have a wonderful time and get your fill of Latkes..
My human loves latkes, although she has not had them in years. Happy Chanukah to you kitties, and humans! Wishing you a happy Hanukkah and Thanksgiving, dear friends. YUM....my Mom loves latkes! I hope all of you and your entire family have a pawsome Chanukah. I'm so happy and thankful to have you as friends. chocolate dreidels = YUMM!! They do look so good. I have never actually had a latke. Happy Chanukah to you all!! Happy Chanukah and Happy Thanksgiving to you! 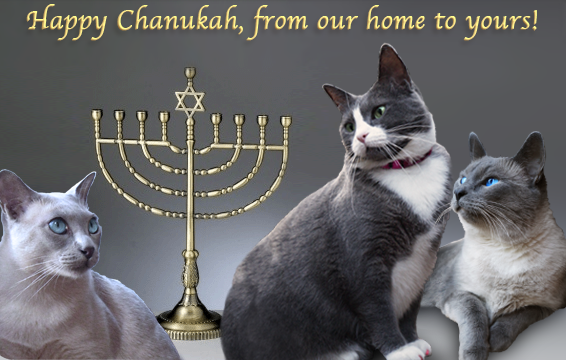 Love the Chanukah picture with the kitties and theese latkes look so delish! 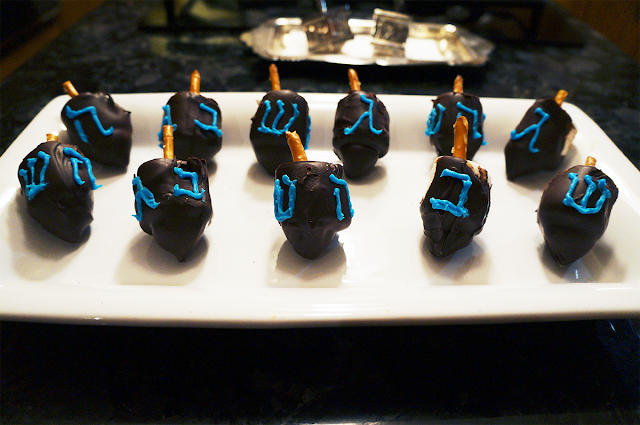 chocolate dreidels…yummy! Happy 2,178th Chanukah. I annied in the Czech Republic and traveled in Europe and have had latke.